1. Sodium is not your friend. So many airplane snacks (and snacks in general) are salty and it is really terrible when you’re in the air. Between the recycled air conditioned air, low air pressure and general dryness level in the cabin, adding sodium not only contributes to dryness but also makes you look more bloated. This water-weight isn’t permanent but if you want to look and feel good right after you arrive, it’s best to avoid foods that contain sodium altogether. Drink lots of water but also eat foods that themselves are rich in water like fruits and vegetables. Everything tastes kind of stale in the air anyway, so might as well go as fresh as possible. I don’t think there is a need to go for expensive water, but since I have a school plan with more points than I know what to do with, I tend to go for the Penta water which supposedly outperforms other water in how it is delivered to the body. Air travel is the one time I really break out the heavy moisturizers to protect my skin from the cabin. 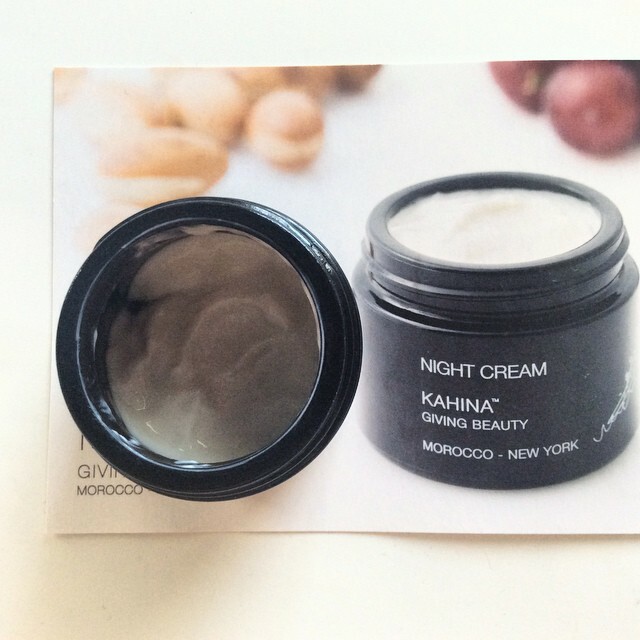 Kahina’s Night Cream is a godsend for such occasions that should work for all skin types. Tatcha also makes a great deep hydration serum that is smooth and quick absorbing which will layer beautifully under moisturizer for those who need more. 4. Anti-bacterial skincare is key. This tip I learned from a friend who travels constantly. A lot of the time when we travel, it’s easy for skin to go berserk, acne prone skin might break out, sensitive skin might get red and irritated etc. She explained to me that a lot of it is also caused by the highly unsanitary condition of the cabin. Think of it as a public bus (with a bathroom no less) in the sky that we also eat and sleep in and suddenly it becomes much more apparent that skin is being attacked constantly in this germ and bacteria rich environment. Before touching my skin with any product, I disinfect with Intelligent Nutrients Hand Sanitizer which gets rid of 99% of germs and is organic(!). 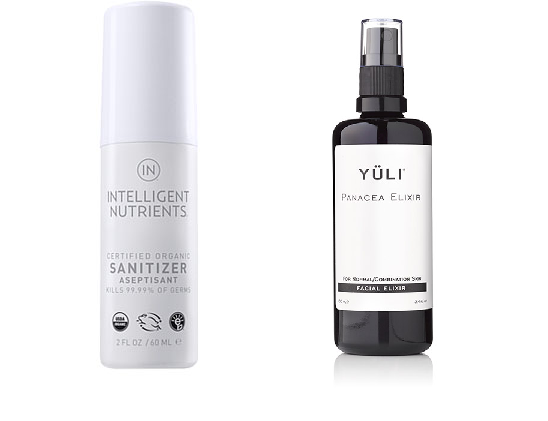 Since it probably isn’t good to splash sanitizer over ones face, I use a anti-bacterial beauty mist like the YULI Panacea Elixir which has anti-fungal or anti-bacterial properties and in general is good for plane rides since it instantly hydrates and soothes skin and keeps oil in balance (skin can tend to overproduce sebum). 5. Use eye lubricant, not eye drops. Confusing I know. Eye drops like Visine get the red out but they don’t get to the source of why your eyes are red in the first place. The eye’s membrane becomes inflammed during travel due to dryness which results in redness and irritation so purchase an eye lubricant like Refresh to address the trigger and not just manage the symptoms. There is this fear that the UV radiation is much stronger (I remember reading before that supermodel Claudia Schiffer is reported to be so concerned about this that she commissioned a UV-deterrent metal stroller for her children) so if I fly during the day I take the sun protection with me and apply throughout. 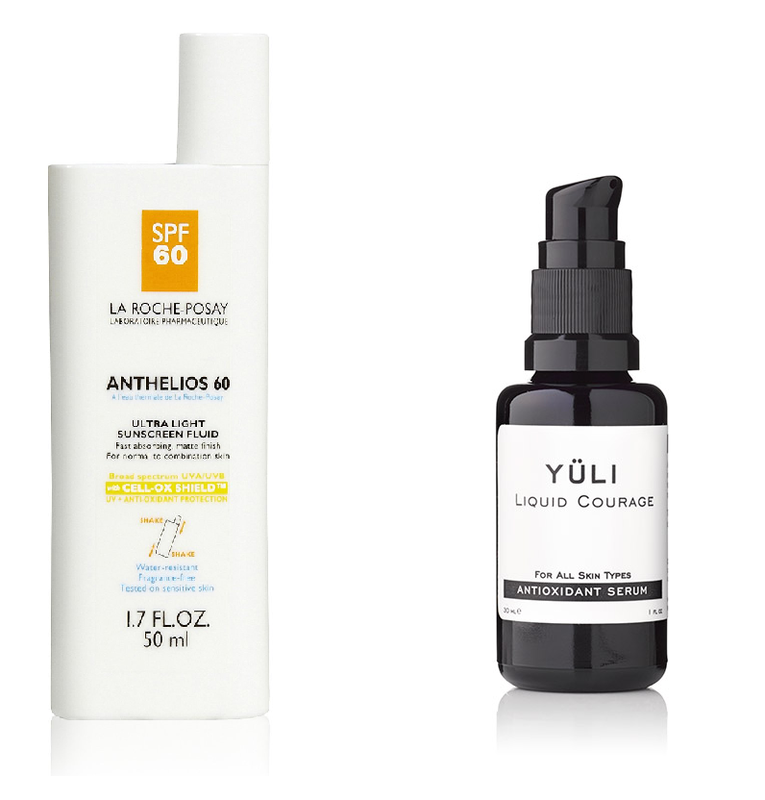 I love natural sunscreens but due to the bacteria issue that I touched on before, I don’t mind using a product with synthetic preservative so I’ve been using La Roche Posay Anthelios SPF 60 Ultra Light Sunscreen Fluid. It’s super light, paraben free and ofers broad spectrum protection. For extra support, I layer YULI Liquid Courage Antioxidant Serum under it which protects against environmental stress like UV radiation, pollution and smoking and loads skin with all the good nutrients it needs in this environment, Spirit Demerson even calls it “Youth in a Bottle”. I’m on the conservative side when it comes to masking on planes, I’m sorry but unless you live in Vogue Beauty Editor world, there is no way this will look normal. So I prefer to use subtle masks like those from Eminence Organics which are just gel masks that you apply and wash off in 30 minutes. 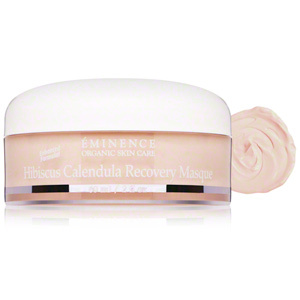 Current favorite is their Hibiscus Calendula Recovery Mask for sensitive skin. It’s described as soothing and repairs skin to smooth plumpness, the very things to counter the effects of air travel. Do your mask about an hour before you have to pack up. This keeps the results fresh for when you land. It doesn’t matter if it’s time to brush or not, just do this 30 minutes before you land because whether you realize it or not, air travel makes everyone just a bit more smelly than usual. This not only literally freshens your breath but also your energy. It doesn’t matter how great you feel or how soft your skin is if your lips are dry and chapped. Dry/chapped lips are a giveaway so I take care of it by drinking water and then just dabbing my lips with a napkin before immediately smothering it with a lip balm. 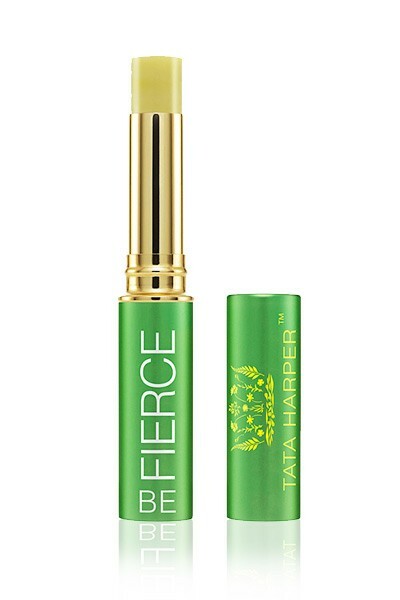 I’m currently using Tata Harper’s Be Fierce which provides good hydration in a sheer coverage. I don’t think there is anyone who finds air travel to be a pleasant experience (unless you’re this guy). 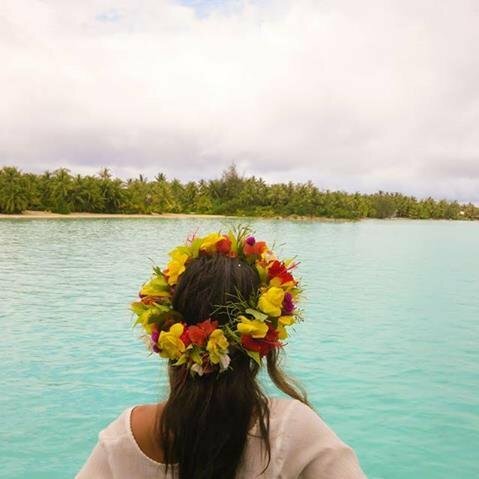 This is where aromatherapy really plays a part in clearing the head (and senses). De Mamiel’s Altitude Oil is perfection for this and an added bonus is the oils also trigger the immune system to strengthen!